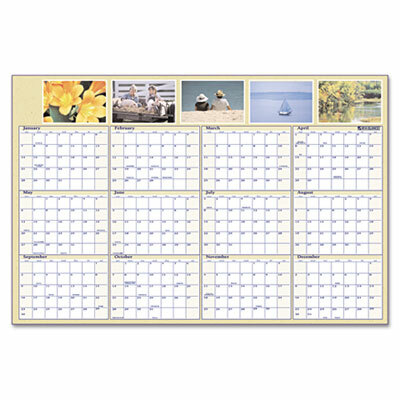 Personalize your wall calendar with 4 x 6 photos in clear pockets, three on vertical side, five on horizontal side. Shaded weekends contrast with workweek. Personalize your wall calendar with 4 x 6 photos in clear pockets, three on vertical side, five on horizontal side. Shaded weekends contrast with workweek. Write-on, wipe-off surface erases easily with a damp cloth.